It's not the business of organizations whose mission is to protect living beings from exploitation and murder to be welcoming the people who kill them into a "big tent" of totally incompatible interests and dishing out accolades to people and businesses that kill animals for profit. The [companion animal]no-kill movement succeeded by drawing a line in the sand, setting up what began as a rather small tent, and saying, "We will not be a party to the killing of companion animals. We will do everything we can to help shelters stop the killing, but we're not here to participate in something that's fundamentally wrong. 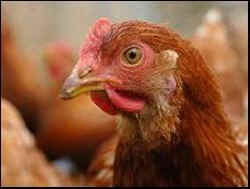 "Animal Welfare at Slaughter Improves in UK." Welcome to the Orwellian world of animal "welfare", where it's a triumph, we're told, that more slaughterhouses are simply complying with existing regulations and when some of them are even switching over from electrocuting birds in tubs of water to gassing them prior to decapitating them. A triumph indeed. That same day, CBS News reported that a couple of slaughterhouses in California had gotten a thumbs-up from various national humane societies for how they kill the animals. Animal welfarist Temple Grandin, who designs "humane" ways of leading the animals to their execution, was quoted as saying that her methods of slaughter improve the quality of the meat. "If cattle get all excited the last five minutes before slaughter," she said, "they’re more likely to have tough meat." A few days later, Wayne Pacelle, the President of the Humane Society of the United States, gave the keynote speech at the annual conference of the Nebraska Sustainable Agriculture Society, and later enthused over the fact that "these farmers are part of the HSUS." The farmers are happy, too. The president of the Belcampo Meat Co. told CBS that while the new killing systems are expensive, they're worth it. Business is booming, apparently, since upscale consumers prefer eating the tender, tastier meat that comes from animals who were humanely killed. "If you can buy it from someone who is really looking after the animal, I think that’s really important," one customer said. Big-tent approaches are fine in the world of politics, where compromise is the order of the day, but they're not appropriate when the lives of our fellow animals become bargaining chips in a world of big agriculture. Certainly, there are better and worse ways of dying. If I had to choose, I'd probably rather be gassed than beheaded. But it would still be a little disconcerting to learn that the people who were supposed to be rescuing me were, instead, negotiating to get me gassed instead of beheaded. And while it may be less frightening to go down one of those Temple Grandin-approved, soothingly efficient slaughterhouse ramps than to be dragged kicking and screaming to one's death, it's all horribly reminiscent of World War II death camps that specialized in finding ever-more efficient ways of processing people calmly so as to minimize mass panic. There's no suggestion here that the folks at the HSUS are comfortable with the slaughter of farmed animals. They're not. But their "big tent" approach to the mass slaughter of farmed animals runs parallel to how they approached the mass killing of homeless pets: recommending and providing better ways of killing them. They ended up on the losing side of what became a very public national debate against a vigorous grassroots movement whose bottom line was very simply: Stop the killing! You don't stop the killing of dogs and cats by making the killing more humane. And you don't bring an end to the mass slaughter of farmed animals by making it a bit more humane, either. It just doesn't work that way. In today's world, nobody even needs animal products. We're healthier without them. We can feed more people without them. And the planet would be a lot better off if we stopped using them. So why do we go on doing it? Because we can. Just like in any other form of abuse, the underlying psychological motive of the abuser is to prove his superiority over his victims. Physical superiority, perhaps, but morally and psychologically abusers are pathetically weak people – desperate to shore up their lack of self-worth by exercising their power of life and death over those who can't fight back. The no-kill movement succeeded by drawing a line in the sand, setting up what began as a rather small tent, and saying, "We will not be a party to the killing of companion animals. We will do everything we can to help shelters stop the killing, but we're not here to participate in something that's fundamentally wrong." The mass slaughter of farmed animals is a tougher nut to crack, but the principle is the same. Humane societies can tell themselves that more humane ways of killing are better than nothing, but it's just the same old story, and it doesn't work. The only way that ever does work is to use whatever resources you have to stand up wholeheartedly and uncompromisingly for the weak and the innocent. We can go on persuading ourselves that better ways of killing these helpless animals are better than nothing. But ultimately, we're just enabling the whole evil enterprise to keep going.